Receiving notice of an IRS or State tax audit intimidates even those people with nothing to hide. Audits can leave people feeling confused and scared. At The McGuire Law Firm, a Denver tax attorney can represent you before the Internal Revenue Service. This decision can save you time and money in the long run. 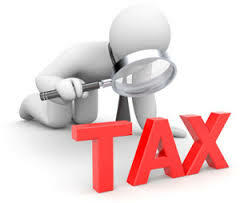 Initially a tax attorney should determine if the main issue in your case is one of law or substance. If law, the attorney will research your case and honestly assess your chance of success. You have the decision as to how you want to proceed. If substantive, you must come up with documentation to show the income and deductions on your last return represent the truth. We will assist you in gathering, organizing and presenting the information to the agent or officer. If you are being audited, it is highly recommended you consult with a tax attorney or tax professional. Most will provide a free consultation, and you may save significant money by hiring an attorney or other tax professional. A Denver tax attorney from The McGuire Law Firm can assist you with an IRS tax audit, City and County of Denver tax audits or other audits. Contact The McGuire Law Firm to speak with a Denver tax attorney and schedule a free consultation.